Transportation accounts for the largest share of critical communications adopted in the business-critical sector. Tony Gray, Chief Executive of The Critical Communications Association (TCCA), reveals the role that critical communications plays in the airport industry. From safety and security, to emergency services, public utilities and critical infrastructure, many industries rely on the use of critical communications to coordinate highly complex operations. 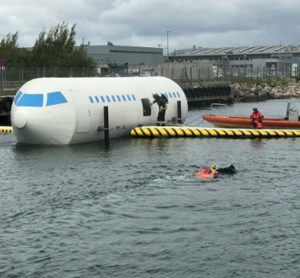 For airports, this coordination must take place whilst ensuring operations remain safe and secure and that travel experience remains pleasant for the passenger. Failures in communications can lead to catastrophic degradation of services; placing staff , customers and critical operations at immediate risk. The voice and data services provided to critical communications users must closely match and support those users’ operational needs and ways of working, wherever and whenever required. Referred to as either land mobile radio (LMR) or professional mobile radio (PMR), these services are currently delivered by narrowband, designed for purpose technologies such as digital mobile radio (DMR) and terrestrial trunked radio (TETRA). In particular, TETRA voice quality in noisy environments is excellent, making it suitable for use on the apron at airports and other high decibel level environments. Critical services must be able to cope with high peak demands and provide ubiquitous coverage of the operational area, as well as have guaranteed availability, reliability and resilience. Extreme weather, or unexpected critical situations such as acts of terrorism, can typically severely degrade or even destroy commercial communications links and networks. Even if these networks remain available during such events, they have traditionally quickly become overloaded and saturated as citizens use them to try to cope with the situation. 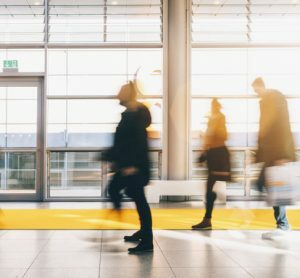 As airports work to modernise facilities and infrastructure, a big focus is on upgrading the communications networks that supports both operational and passenger services. Communications networks carry the data on which all airport applications and services depend, whether they are mission critical, business critical or best effort. In the past, airport operators have deployed a separate network for each service, but as the number and sophistication of such services increases, this approach is becoming expensive and impractical. The trend today is for airports to move to a single, converged network to support all their services. There are now networks available that provide the capability to strictly segregate and prioritise services, so that the most essential services take precedence over less urgent requirements. Different vendors have adopted different approaches to address these requirements, but there is significant momentum building behind the idea of using industry-standard technologies, specifically 4G LTE, to provide mobile broadband connectivity for mission critical and Internet of Things (IoT) services, and internet protocol/multi-protocol label switching (IP/MPLS) to support data transport and wireless backhaul needs. This approach can provide airports with the flexible, agile, and dynamic communications infrastructure they need to connect all their facilities – including the air traffic control tower, airline check-in kiosks, passenger amenities and Wi-Fi hotspots – both internally and externally, to data centres and the internet. TCCA member Rohill, has supplied more than 50 TETRA systems to airline and airport organisations around the world through its network of partners. Notable examples include Amsterdam Airport Schiphol, Barajas Airport Madrid and Düsseldorf Airport, as well as several Brazilian and Spanish airports. 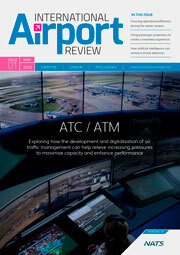 TETRA remains the preferred solution for mission critical communications on airports. Operator KPN in the Netherlands has taken the decision to refresh its existing TETRA network to continue to serve Amsterdam Airport Schiphol for another five years, after more than 10 years of uninterrupted service. Rohill’s extended critical ecosystem adds the capability to extend TETRA to business-critical communications over mobile broadband networks, interfacing with TETRA or legacy radio networks or operating as a standalone solution for communication by smartphones only. This capability has already been delivered to the Airports Company of South Africa (ACSA) to comply with the company’s requirement for both business and mission critical voice, data and video communication. According to global information provider IHS Markit, public safety and security organisations are the single largest adopter of critical communications, accounting for approximately 38 per cent of LMR/PMR deployments globally in 2017. However, in aggregated terms, business-critical sectors are the largest adopter of critical communications, with transportation accounting for the largest share of deployments in the business-critical sector; accounting for 17 per cent of the market. IHS Markit projects that the increasing strength of the world economy will see business-critical sectors continue to gain prevalence in this global ecosystem, with rising demand for technological enhancements in airports, railways and shipping ports, and that the total critical communications revenues associated for transport will be worth more than $3 billion by the end of 2020. TETRA continues to be the popular choice, and the highest growth rate is projected to be in the Americas, where the number of active TETRA users is forecast to double between 2017 and 2021. This can be linked to the increasing use of TETRA in U.S. airports, where projects include those at Los Angeles, John F Kennedy, Newark Liberty and San Francisco International Airports – in all cases deployed by TCCA member PowerTrunk, in collaboration with Rockwell Collins. 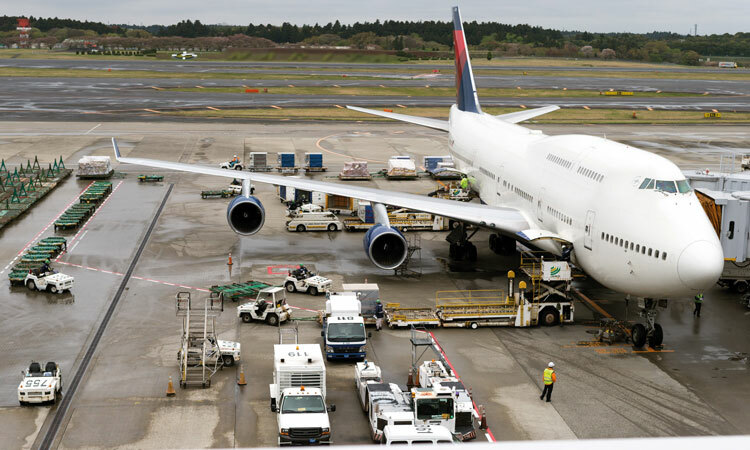 The Newark contract was announced in early-2018, and its TETRA system additionally has direct connectivity into the nearby JFK Airport network to facilitate communication and coordination between users at each airport when necessary. At TCCA’s Critical Communications World event, which took place in Berlin in May, one of the many contract announcements was from TCCA member Motorola Solutions regarding further enhancements planned by Narita International, Japan’s busiest airport with more than 39 million passengers and Japan’s largest volume of international cargo annually. 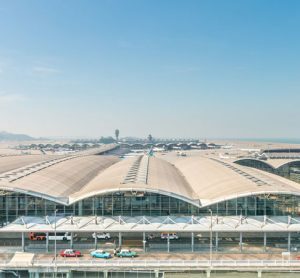 The airport deployed a TETRA system in 2017 and is upgrading to include connection across both Narita and Okinawa Naha airports for critical functions including security, operations and baggage handling activities. TETRA radios are also used by the ground staff at Narita. Future features could include smart location services to pin-point the location of team members in the field and software-defined push-to-talk services to seamlessly connect radios with smartphones, tablets and other devices. LMR/PMR-like capabilities will soon, for the first time, be available from commercial 4G long-term evolution (LTE) mobile phone technology, as used by today’s smartphones. Traditionally, commercial mobile phone standards such as 2G, 3G and 4G have not provided the critical facilities required by critical users in their everyday work. Additionally, commercial mobile network operators (MNOs) will quite reasonably dimension and design their networks and services to satisfy the needs of mass commercial operations. These provide a ‘best effort’ service, generally in areas of high user population, and hence revenue. 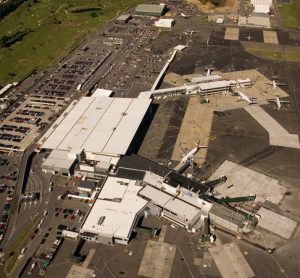 Customers are looking for a single unified infrastructure to replace existing multiple solutions (PMR, Wi-Fi, digital enhanced cordless telecommunications (DECT)) and to increase safety, efficiency and productivity of the airport’s operations. Local LTE network deployments are required where integrated communications between personnel, sensors, machines and applications are required. Air France is currently conducting the trial of an LTE Professional Mobile Network at Charles de Gaulle Airport in Paris using LTE Pro 2 at 6GHz TDD. Mission critical LTE-use cases could include connected aircraft, aircraft maintenance, safety and security, critical factors surveillance, passenger information and connectivity, ticketing, baggage handling, and operational communications including ground staff and control towers. Commercial MNOs have not targeted or provided the degrees of coverage, capacity, availability and reliability required and demanded by critical operations, but that is changing. A new paradigm is coming into play in which critical-use cases are increasingly considered in mainstream commercial standards such as 4G LTE-Advanced Pro. Many new high-bandwidth applications are generating a lot of interest from airports, particularly those for location, fleet management and shared situational awareness. All the relevant parties need access to the same information during operations and incidents, and apps designed for airports can run on smartphones or tablets; whichever is most convenient. It is becoming evident that the demand for broadband data services is increasing rapidly. Critical users use applications on their own smartphones for work purposes in the same way that they communicate away from the workplace. The ways in which people communicate in their daily life will inevitably find an effective use in a professional capacity, especially as the importance of data communication continues to grow. The possibilities of transmitting live broadcast footage, maps and other large files will support and add to the functionality of mission critical communications. However, in critical airport operations, for planned operational needs and unexpected major events, the most important and lowest common denominator must-have feature will always be reliable and robust voice communications services. TCCA would like to thank its members Airbus, Etelm, IHS Markit, Motorola Solutions, Nokia, PowerTrunk and Rohill for contributions to this article. 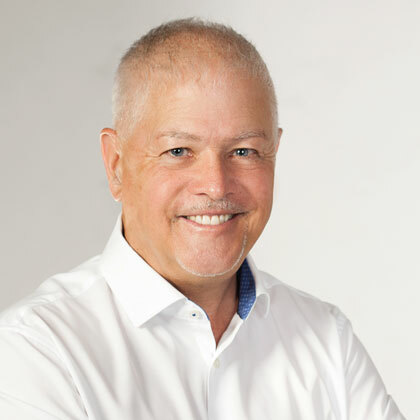 Tony Gray has worked in the mobile communications industry for more than 40 years and held senior engineering, management and consulting posts throughout the world. He was appointed Chief Executive of TCCA, the global representative body for critical communications professionals, in 2017.